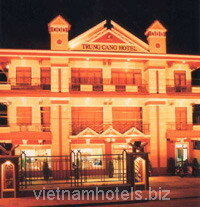 Dalat is located in Lam Dong province, approximately 200 km northeast of Ho Chi Minh City. At an elevation of 1,500 m, Dalat bears the look of an Old French city. It was founded in 1897 when Doctor Alexandre Yersin recommended that the area be developed as a resort town. Dalat has many natural and artificial lakes such as Ho Xuan Huong, Than Tho, Da Thien, and Tuyen Lam bordered by lines of pine trees, which are a well-known feature of Dalat. A trip to Dalat is not complete until one goes to the Dalat Flower Gardens. The temperate climate of Dalat is suitable for flowers such as orchids, roses, lilies, and camellias. There are thirty rooms of different kinds and shapes namely : deluxe, double, triple , superior...Including 30 rooms . All rooms with TV, Mini bar, Air-Conditioning, Direct Dial Telephone, Hairdryer, Coffee and Tea Making Facilities. Our restaurant serve western and asean foods , Vietnamese traditional food.